Lloyds Bank have come together with Somerset Chamber of Commerce's Hinkley Supply Chain Team to host an 'Upscaling for Infrastructure' event at The Canalside, Bridgwater on Thursday 20th Sept.
Lloyds Bank recently announced a £100 million fund to help small businesses take advantage of supply chain opportunities in the construction of EDF Energy's Hinkley Point C (HPC) in Somerset. Click here to read more on this opportunity. The challenge of major infrastructure opportunities to businesses within the South West can be the requirement to scale up to deliver requirements, and it is evident that there are many large projects, other than HPC planned for the South West. This event will bring together the knowledge gained by industry experts in the field of upscaling, combined with real life examples of rapid growth company experiences, to impart lessons learned and milestones to achieve for South West companies eager to understand the challenges of upscaling. 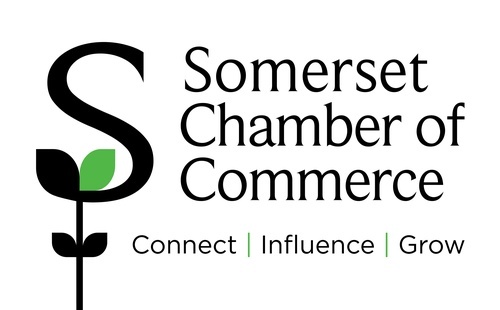 Greg Saunders has been Chair of the Somerset Chamber of Commerce for nearly 2 years. In addition to that, he is a Partner at Clarke Willmott LLP specialising in advising businesses both big and small on a range of issues. He has a particular interest in HPC and acts for a number of clients involved in the project and sits on the Board of Somerset Passenger Solutions, thus making him extremely au fait with the challenges of any business looking to scale up. Llewelyn Mullooly (Lloyds Banking Group) is a qualified Corporate Treasurer with 13 years in the Finance sector specialising in risk management, international liquidity structures and cash management. He currently supports CFOs & Treasurers with a data driven approach to working capital management, developing digital tools and identifying opportunities to improve cash flow. Chris Langdon (Hinkley Supply Chain (HSC) team) Chris is the Hinkley Supply Chain Project Lead for Somerset Chamber of Commerce. His background in advising SME's, Small Business Banking and Economic regeneration projects over the last 30 years has provided a base of what makes SME's spark. He has been working with EDF Energy for over 8 years helping to develop capability maps and mechanisms to engage the most capable suppliers with the large and complex HPC site. Charles Hill (Exelin) is a chartered Mechanical Engineer and a fellow of the Institution of Mechanical Engineers with 25 years project management and business improvement experience. He has led and undertaken projects in a large number of companies across manufacturing, engineering and the service sectors. Charles has a genuine enthusiasm for understanding the strategic aims of organisations in order to develop tailored solutions to support the achievement of the desired objectives. Charles is particularly interested in the challenges of business leadership, change management and how successful strategy deployment can be best achieved through teams. Jonathan Jones-Pratt (JJP Holdings) Somerset Passenger Solutions currently run a prestigious contract, providing all of the transport needs to support the Hinkley Point C development project. At maximum capacity they will be carrying up to 6,500 people a day in and out of the Hinkley Point C construction site. Jonathan been a part of the journey from the outset and can give considerable insight into the highs and lows of a turning a small team into a functioning operation capable of fulfilling the high demands of the contract.